The amazing beaches are one of the best reasons to visit Australia. Offering golden sands bathed in brilliant sunshine, these are the ultimate destinations in which to become a beach bum. But where are the finest beaches to savour in this vast, enigmatic continent? The Gold Coast is particularly popular with tourists, so some of its beaches are unfortunately as crowded as Torremolinos. Thankfully Burleigh Heads Beach is an exception. Despite sitting alongside a major highway, it’s remarkably unspoilt and unpolluted, offering some truly magnificent views. 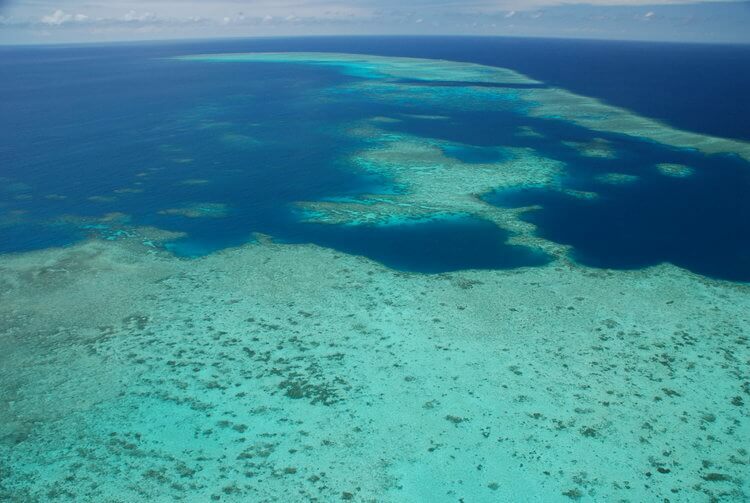 The Barrier Reef is possibly the most remarkable natural structure on earth, and so immense that it can be seen from space. You can get to see it close-up when you visit breathtaking Lizard Island, just 1000 hectares in area but home to 23 stunning white sand beaches. One of the most exclusive destinations in the Southern Hemisphere, it’s not a cheap place to stay – but it’s worth every penny. The name is no exaggeration: 75 Mile Beach really does stretch out over 75 magical miles – a glistening strip of gold bordering verdant landscapes. As diverse as it is endless, the beach takes in numerous hues of sand, from brilliant white to vivid orange to ochre. However, a word of warning: the gently lapping sea may invite a dip but it’s the playground of tiger sharks. For something a little different, try Tasmania, which is visually more reminiscent of the UK than typical Australian landscapes. 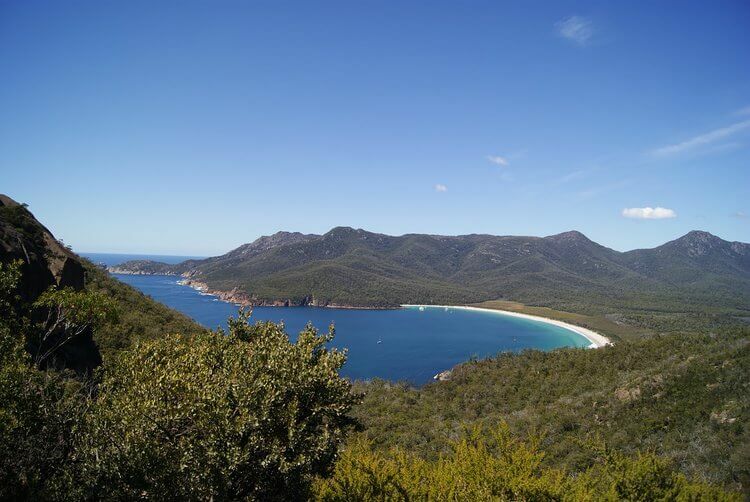 It’s also home to one of the finest horseshoe-shaped bays on earth: Wineglass Bay in the heart of the Freycinet National Park. About two hours from Launceston and three from Hobart, the Bay is omnipresent in Tasmania’s tourist advertising – and when you’ve seen its pink granite peaks, white sands and turquoise waters, you’ll soon understand why. Byron Bay isn’t just a hippie (and hipster) hangout these days: it’s a vibrant tourist town with an array of excellent restaurants, cafés and bars. It’s also home to some of the best beaches you’ll find anywhere in the world. However, its biggest attraction isn’t the soft, powdery sand or even the bright blue waters – it’s the fact that the beach is pretty uncrowded most of the year round. 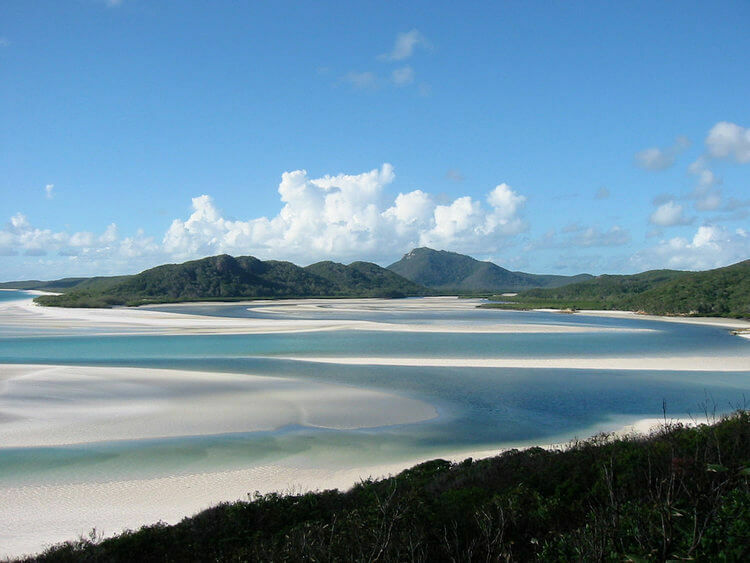 The combination of white sands and turquoise waters gives Whitehaven Beach an unearthly quality, and once seen it is never forgotten. You’ll also remember its unique feel underfoot: the silica sand is especially soft and never becomes too hot, even under wall-to-wall sunshine. Whether this is the most beautiful beach in the whole of Australia is up for debate, but there’d be no shortage of speakers supporting the motion. The Sunshine Coast isn’t exactly short of great beaches, but this may be the greatest of all. It’s not just the golden sands and gentle waves: this is an excellent spot for swimming, offering the chance to get up close and personal with all kinds of marine wildlife (though not the dangerous kind!). Dolphins love to frolic close to the coast and whales pay regular visits during their annual migration. 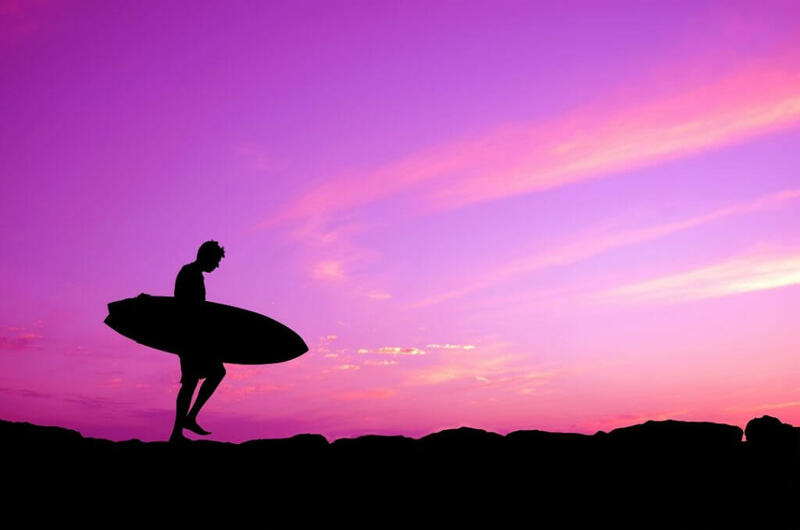 You’ll also get to spot plenty of surfers, for whom Noosa is a mecca. Let’s finish with an all-time favourite: the beach that’s uppermost in everyone’s mind when they think of a holiday in Australia. Is it the very best beach the country can offer? Not to our mind, but it’s certainly the most iconic – and the most conveniently located. To learn about must-see stops on the Great Ocean Road, talk to the experts in Antipodean travel. We’ll be happy to help you choose your perfect Australia tour. Images by Birger Kühnel via Flickr and Claudia via Pixabay.